Learn how to create or edit zip files using the SharpZip library in your WinForms application with C#. 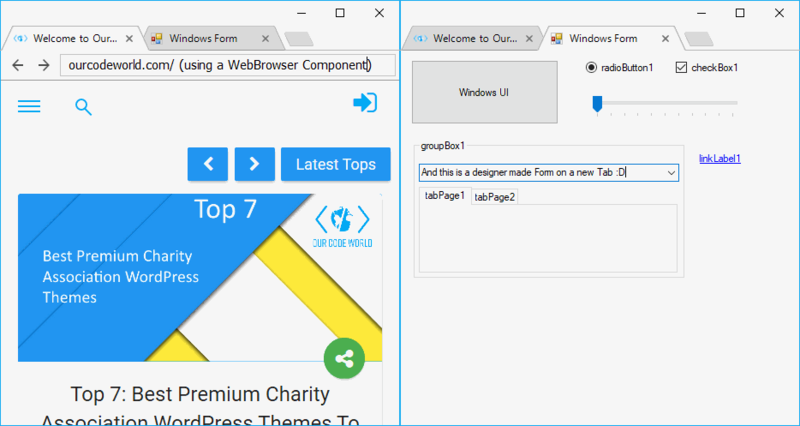 Learn how to create an application with Browser-Style Tabs with the EasyTabs library. Learn how to attach some global hotkeys (system level accessible) for just a single key in your WinForms application. Learn how to simulate keypress event from any key in the keyboard using the awesome InputSimulator library in Windows Forms. Learn how to prevent the input from non numeric characters inside a textbox in Winforms. Learn how to solve the Cross-thread operation not valid error with any control in Winforms. Learn how to print a PDF file with C# in your Winforms application easily and free. Learn how to install and setup Sciter on your WinForms application. Learn how to conceal messages or information within files using C#. Learn how to encrypt and decrypt files using the Advanced Encryption Standard algorithm with C#.